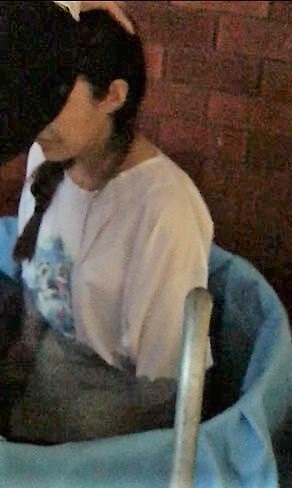 On Friday, 26.10/9.11. 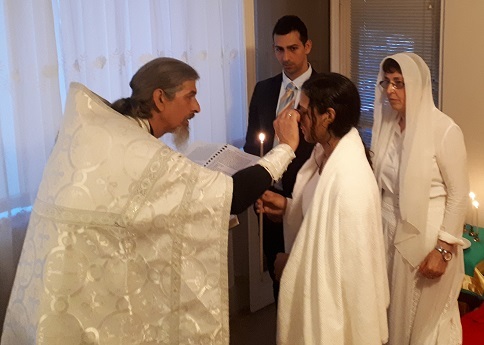 2018, the servant of God Natalia was received into the Holy Orthodox Church by the Mysteries of Baptism and Chrismation. 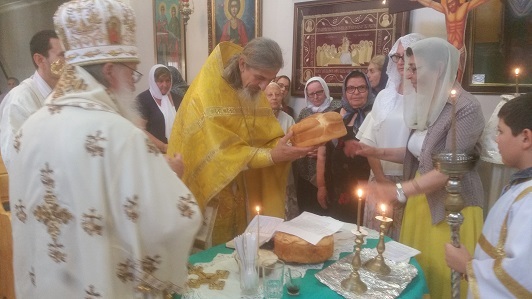 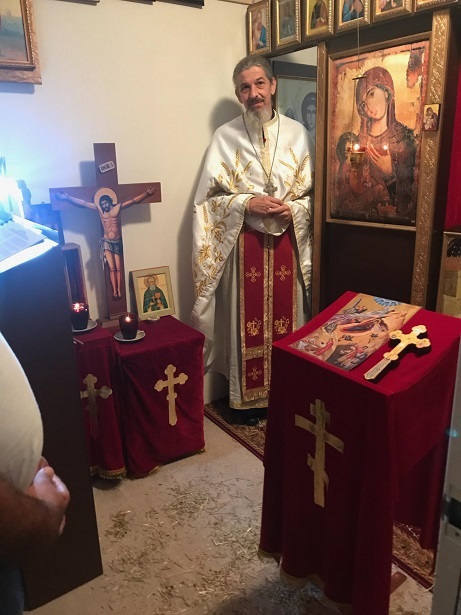 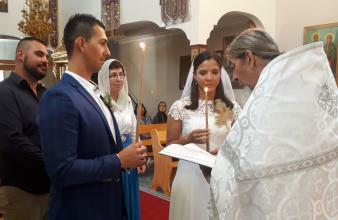 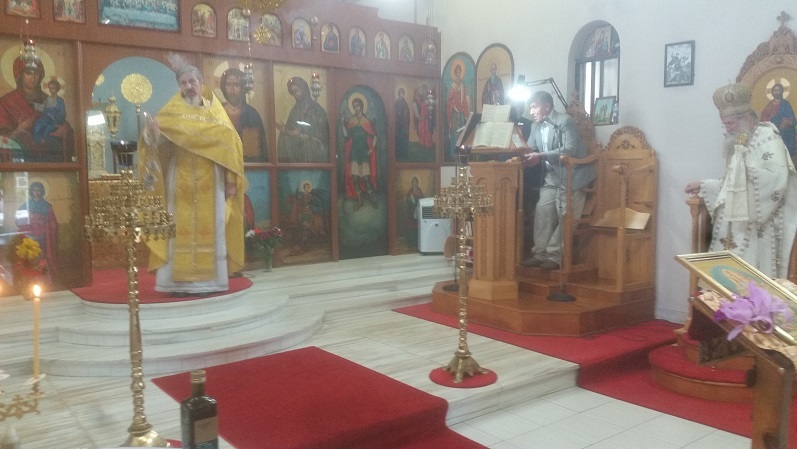 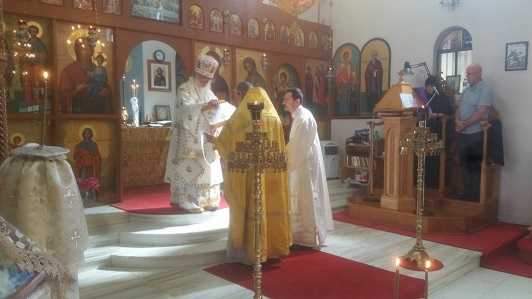 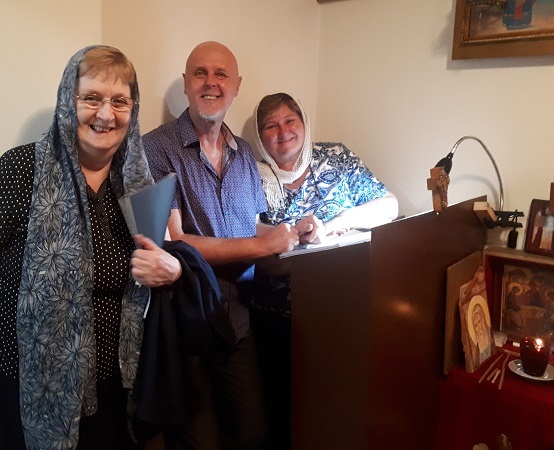 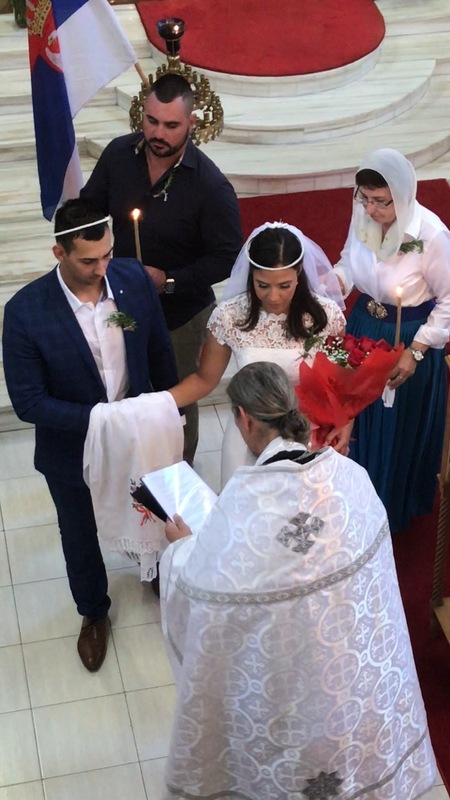 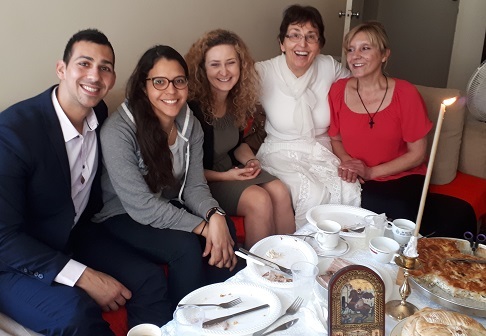 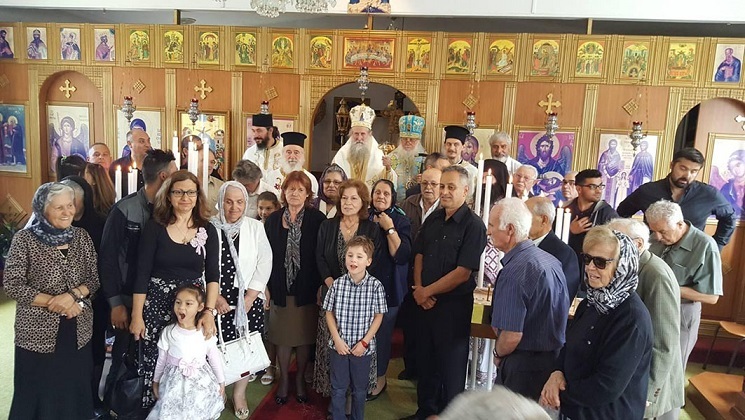 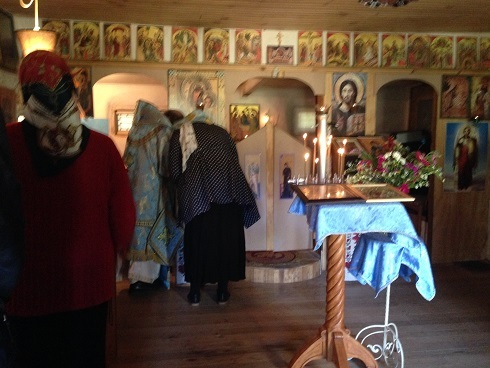 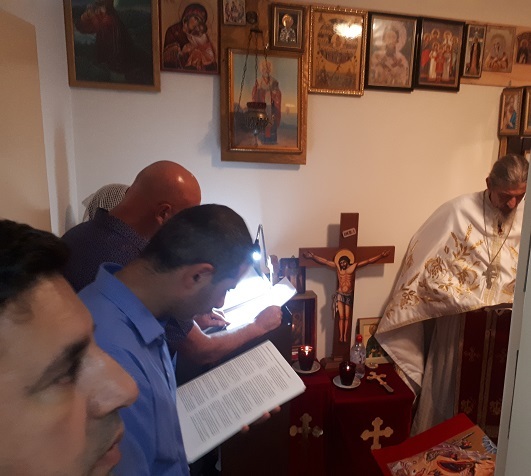 The services of the making of a Catechumen, the Baptism, and the Chrismation were performed in English by priest Nebojsa Mirkovic, with the sponsors and a few guests present. 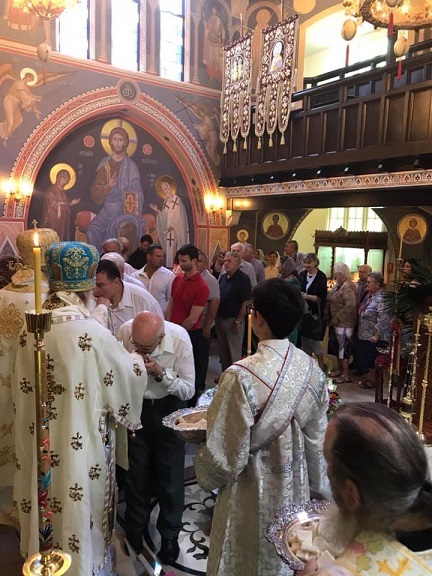 In accordance with the canons of the Church, the baptism occurred by full immersion three times. 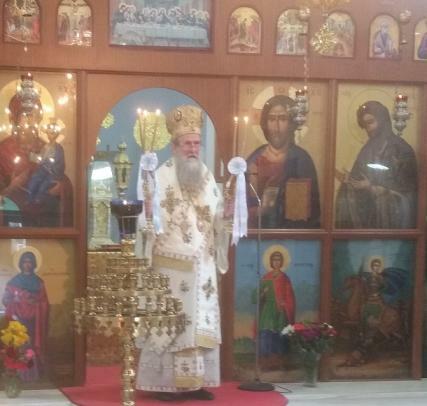 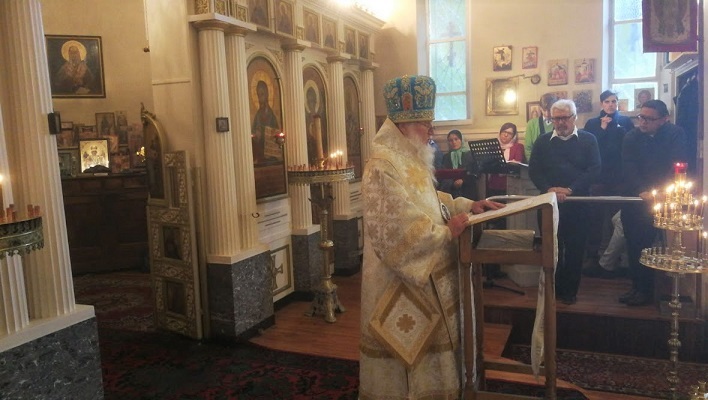 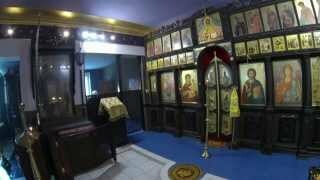 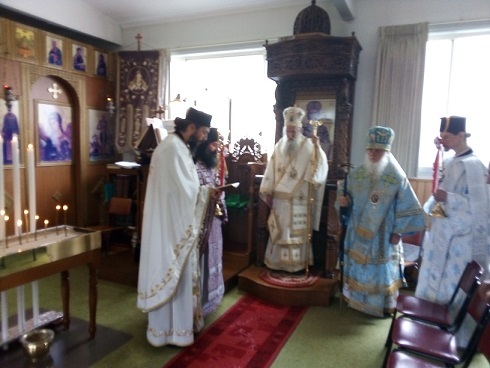 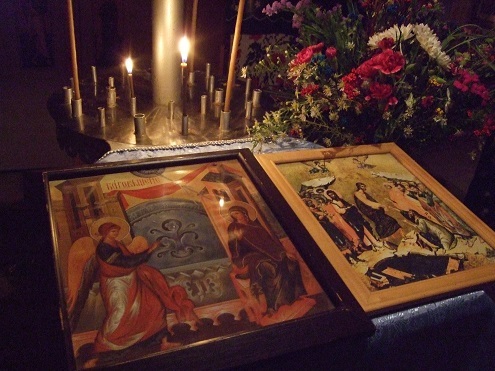 The next day, she communed of the Holy Mysteries for the first time at the Divine Liturgy at the same church. 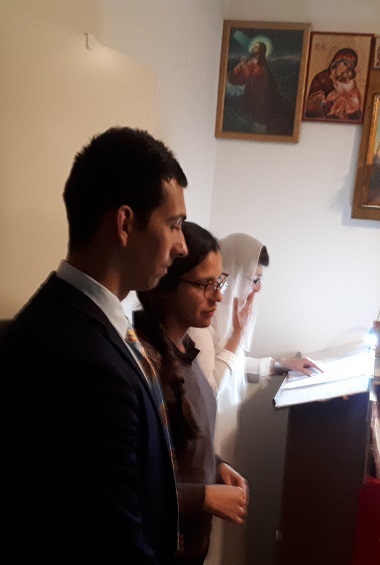 Natalia was raised in the roman-catholic heresy, but having come to know Christ at a mature age, is now an Orthodox Christian. 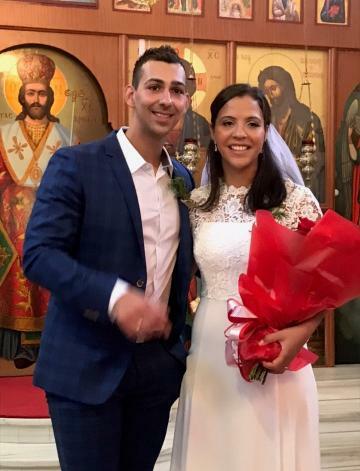 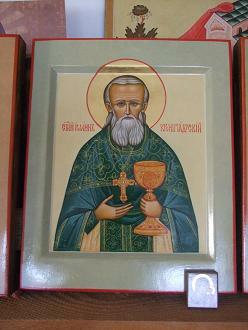 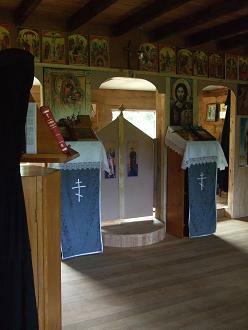 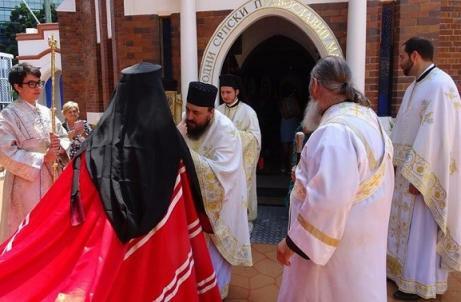 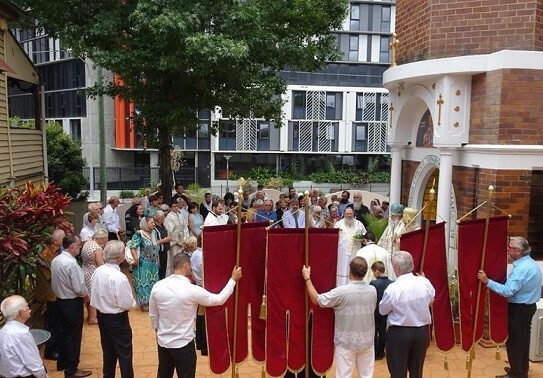 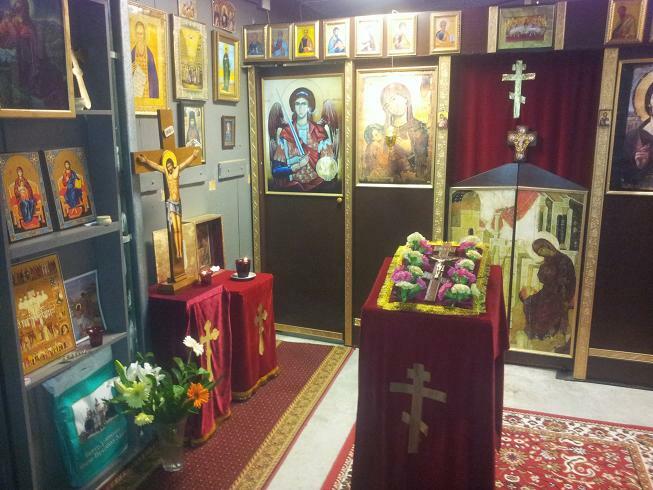 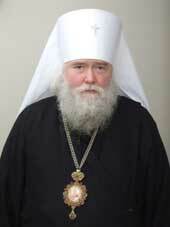 She is a member of the parish of St John of Kronstadt in Sydney. 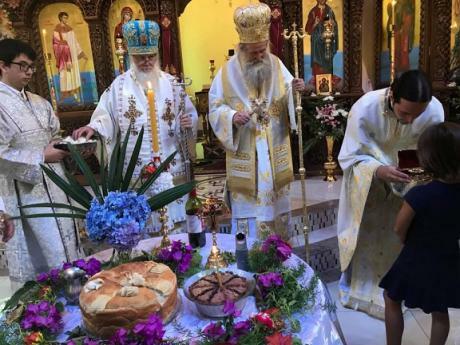 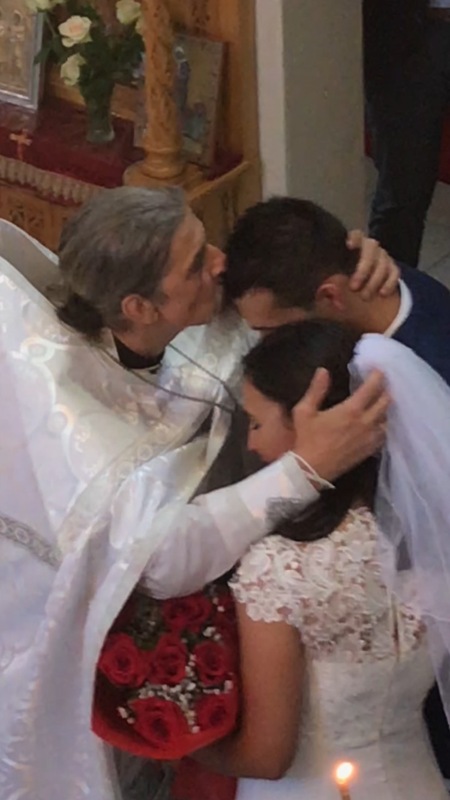 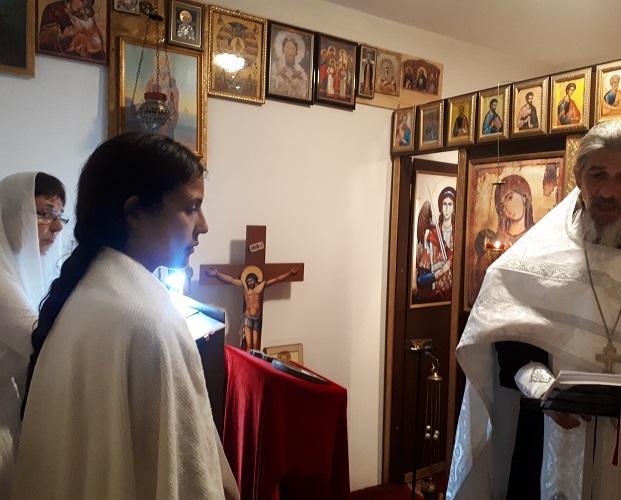 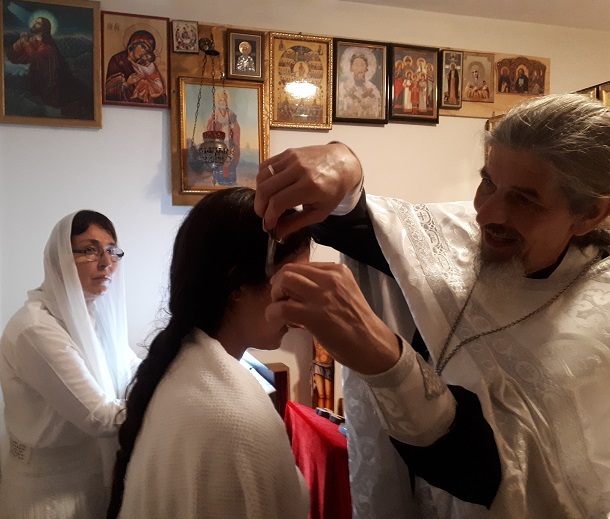 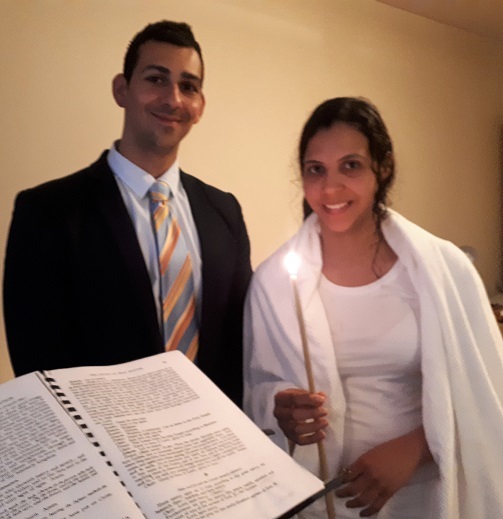 May God grant health and salvation, and many years, to our sister in Christ, the newly-illumed Natalia, and may she keep her baptism pure from any stain, error or sin! 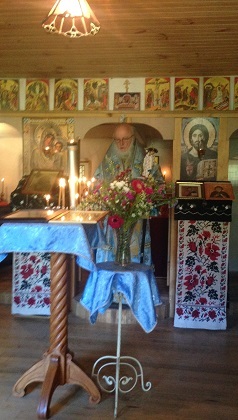 On Sunday 15/28.10, the parish of St Nicholas the Wonderworker in Lyons (France), welcomed Bishop John. 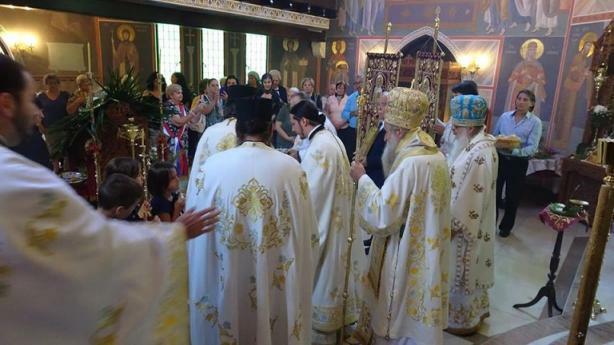 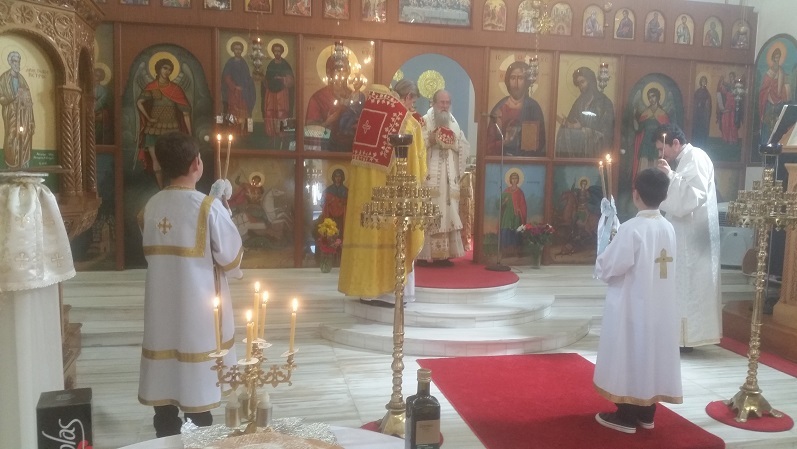 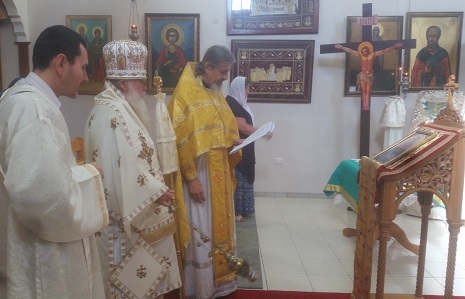 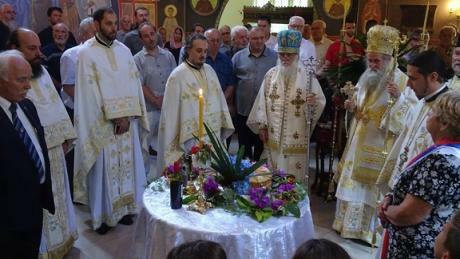 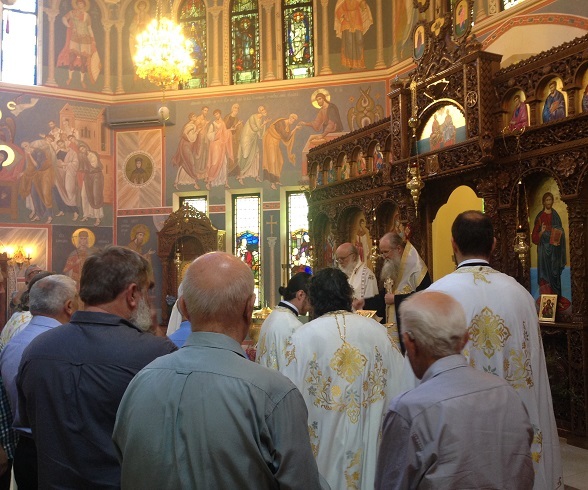 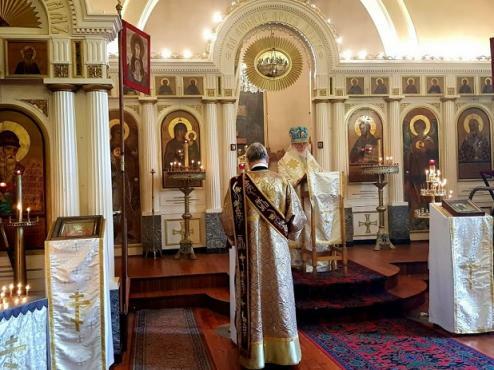 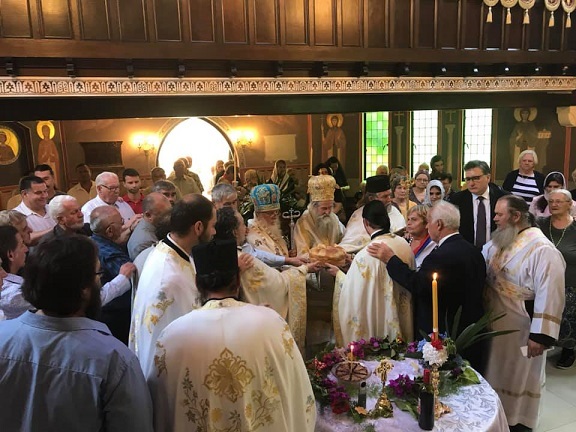 At the Divine Liturgy, he concelebrated with Protopriest George (GOC), Protopriest Hristo, Protodeacon German Ivanoff-Trinadzaty and Deacon Eugene Doroshin. 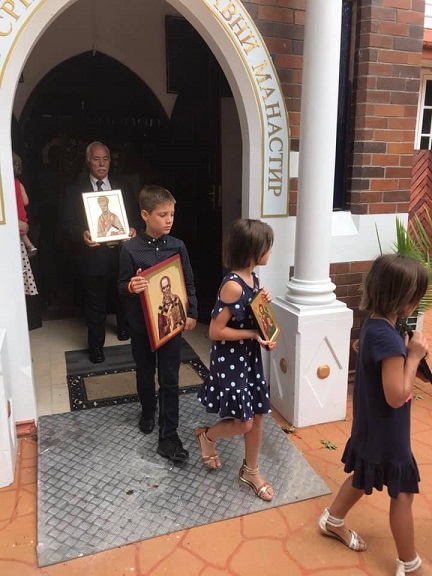 Many children attended the service, which was marked by a distinctive sense that the parish is one spiritual family in Christ. 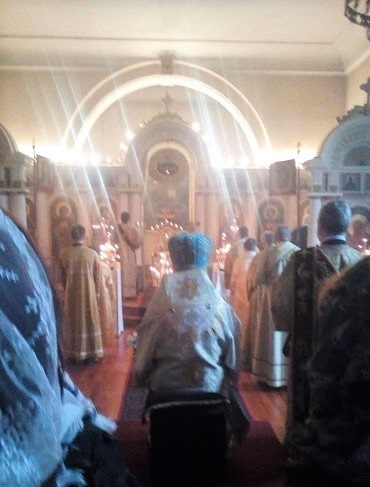 There were many communicants. The excellent choir was adeptly led by Geman Ivanoff-Trinadzaty junior. 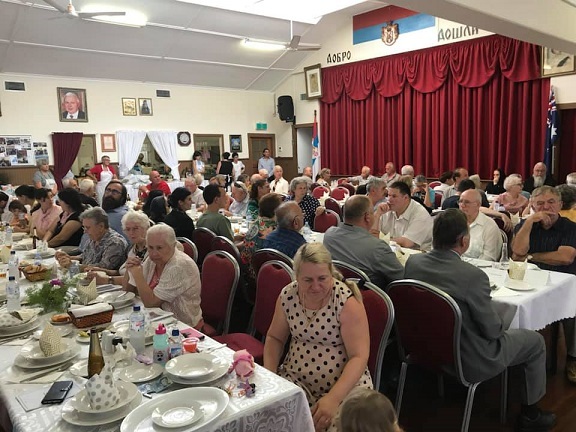 After the service the parish sisterhood offered an extensive lunch in the parish hall.